We call this the Christmas Dory because at 5.75" long it's just the right size to hang on your Christmas tree, though they're great to sit on an end table or bookcase as well. We don't make these here - we get them shipped in a few at a time. 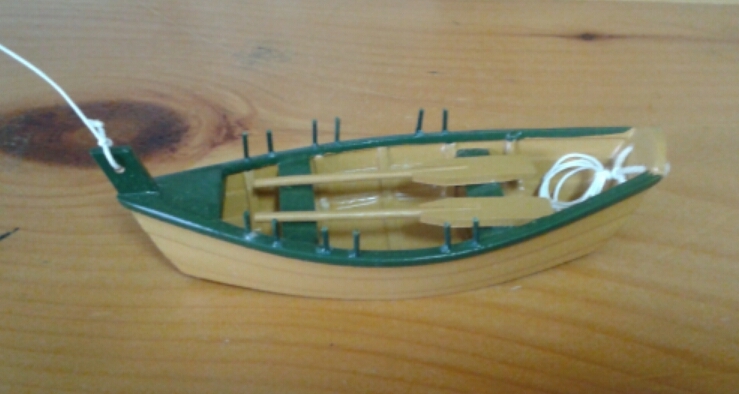 They even have their own little set of oars! Price is $16 plus tax and shipping.